Tomorrow I have a final exam. My typical way to prepare for a big exam is to load up on junk food. Not smart, but emotionally soothing. 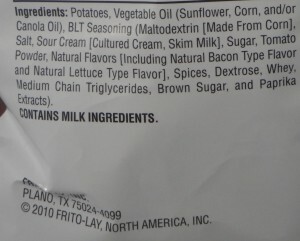 Currently my snack of choice is Lay’s classic BLT flavored potato chips (all natural). I’m on my second bag and have mixed feelings about finishing the second bag; sad because they are gone but happy that I will finally stop eating. 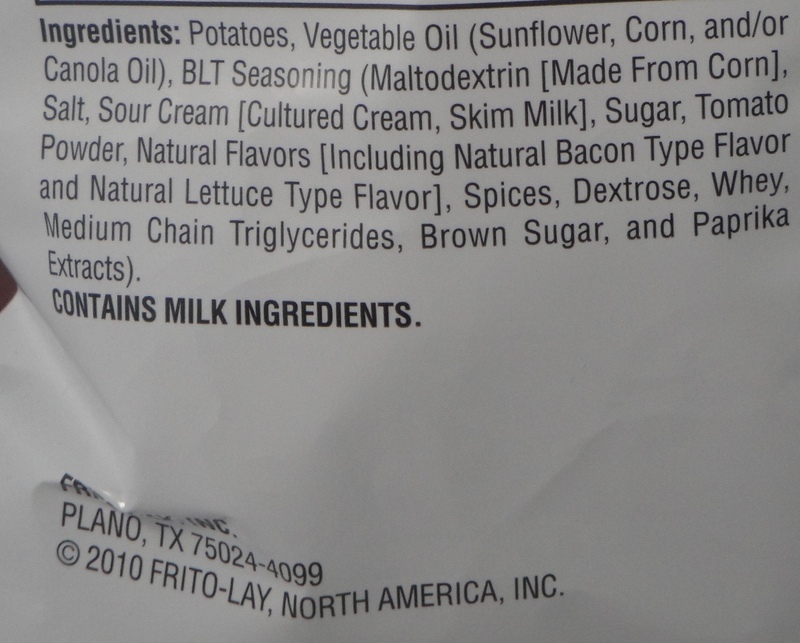 Lay’s BLT (bacon lettuce tomato) potato chips are amazing and I am in awe. These chips taste exactly like biting into a bacon lettuce tomato sandwich. I can distinctly taste a lightly toasted bread, mayonnaise, fresh tomato and fried bacon flavor. The bacon flavor is distinctly bacon; not just smoke flavor. 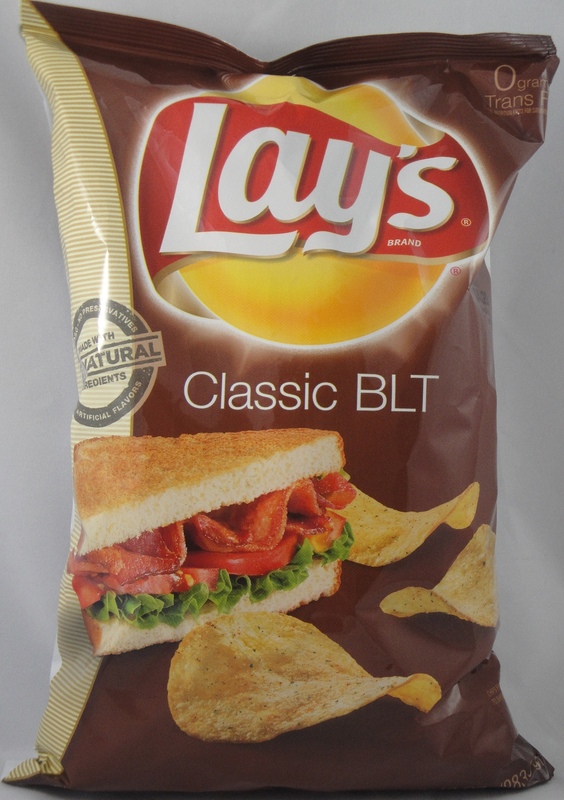 The BLT flavor is subtle and perfectly balanced for a those of us who will eat half a bag of chips in one sitting. There is no MSG in these potato chips, yet the flavor is full and satisfying. Perhaps the tomato powder in the seasoning blend adds to the fullness. Tomatoes are naturally high in glutamates. My husband loves these potato chips as well. He claims he can even taste lettuce flavor. I am hesitant to claim I taste lettuce flavor. I think of lettuce as a sensation (crisp , crunch) and not a flavor. My husband will be disappointed when he realizes that I just finished off our last bag. Sorry hun, these chips are too tasty to stop eating. My mom just bought these and said they were fantastic as well! Can’t wait to try ’em!